7mm. Dyed glass. Vintage. New old stock. 7mm. 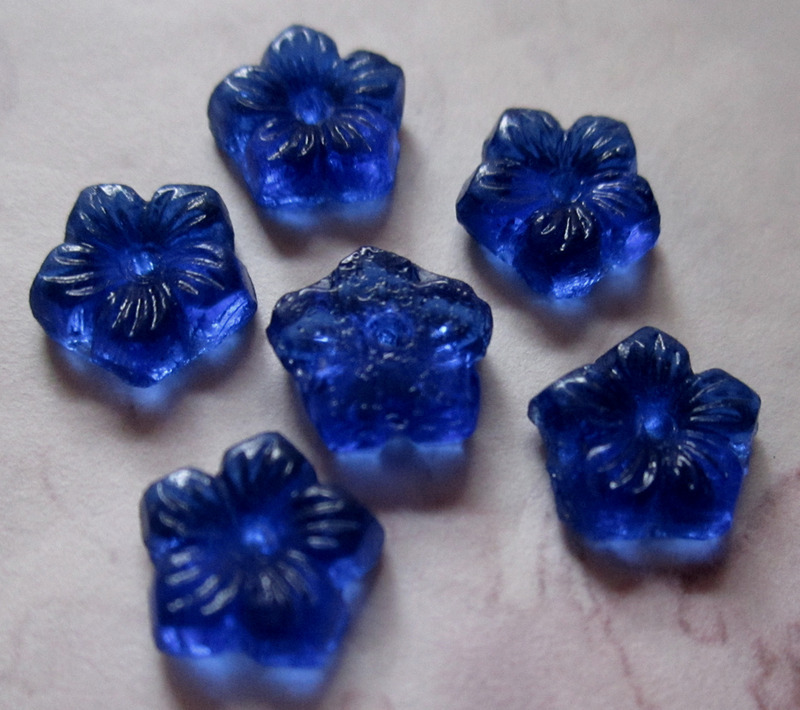 Vintage glass dyed blue flower sew on cabochons. New old stock.